Today I'm linking up with Rachel and Chelsea for the Expat Diaries. It's a monthly link up where you share you travel and expat stories. ns 100 degrees and sunny then, yes, Christmas in Brazil was cozy. There also weren't Christmas tree farms nor did people put up lights and drink hot cocoa. 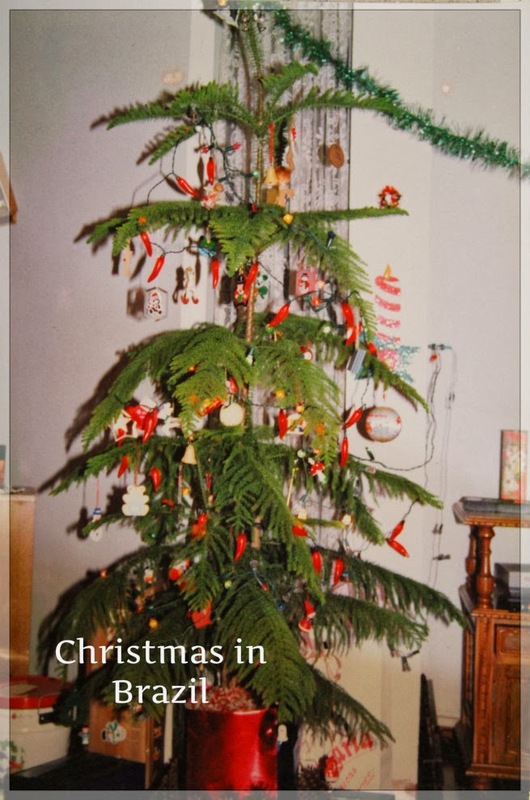 However, what I do remember is that my parents somehow managed to find a Charlie Brown tree and the thing I remember the most from that tree were the red chili pepper lights on it. Lucky for me, I'm still going through family pictures and found a purdy little picture of our tree. As Charlie Brownish as it is, I love the memories. 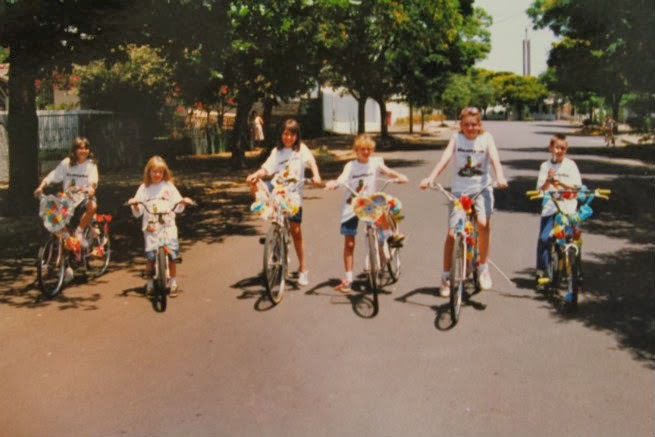 I also remember that we got bicycles for Christmas one year and that was a hit! My grandparents sent us some money and how my parents hid 4 bikes from us kids - I'll never know. Who wouldn't want to ride their bike in 100 degrees on Christmas? I loved it. We even entered a bike contest in our little town. This year, I'm in America having the 'classic American Christmas'. The big difference is that I'm married this year =). Dave and I got a real tree. Artificial tree? Ain't nobody got time for that! Bring on the pine needles and fresh Christmas smell. Anyways, about 98% of our ornaments came from Dave's collection that he grew up with. (My 230492304 pink ornaments weren't a major hit with Dave although if I asked I'm sure he would let me put them all over) As we placed ornaments on the tree I began to notice that many were international ornaments. I told Dave that whenever we travel to a new country we have to get something that can be turned into an ornament. Won't that be fun? What is your Christmas like? Do you live somewhere cold? Hot? Do you have a favorite ornament? Merry Christmas season to each of you! I love those international ornaments! They are so pretty and it's cool that you will relive those memories every year. We haven't gotten a tree yet this year, but hopefully we will this weekend. I am so excited to start decorating. Ever since I can remember my grandmother would give my sister and I a new ornament for christmas every year and it would usually have something to do what an event that happened that year. Makes for fun memories. Merry Christmas!! I love that idea from your grandma and what sweet memories you will have. My grandma has a massive ornament collection. She showed me all her new ones this past weekend and it was so fun to see how excited she was about them all. ps, thanks for linking up with Treat Yo Self!! Steal the idea away! I think it is a neat way to get something small to take home but yet meaningful. Thanks again for hosting the link up =) It's fun to meet other people. How many ornaments do you have? and from where? Fun! 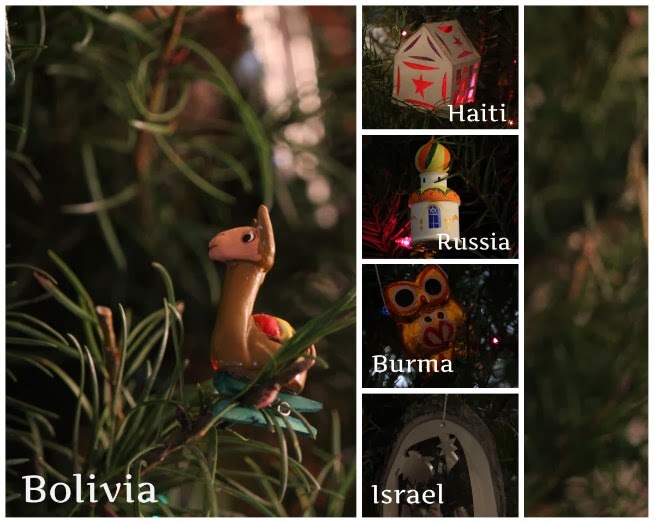 Love the international ornament idea! Thanks! I'll collect some for you too because we both love travel! Thanks Lisa! That iced mocha sounds good. Are you living in Peru or are you from Peru? I hope you enjoy your Christmas season even with the heat. I'm living here with my husband - he's the Peruvian one ;) Oops I just realized my typo 'you're' esh.. Happy holidays to you too! Love the idea of international ornaments! I should have gotten one when I was in Greece! Get the best Pine trees as real Christmas trees to get the idea how you should decorate them at home.